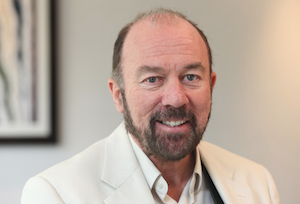 Souter Investments, the family investment office of Stagecoach Group founder Brian Souter, said on Thursday it completed the sale of Finnish intercity bus operator OnniBus.com to Koiviston Auto Group, the largest bus operating company in Finland. “Following a growth capital investment from Souter Investments in 2014, OnniBus.com relaunched offering a fast and reliable Finnish intercity coach network,” said Souter Investments. John Berthinussen, investment director at Souter Investments, said: “OnniBus.com is a great example of a team of entrepreneurs spotting a market opportunity and going for it. OnniBus.com CEO Lauri Helke said: “I am very happy to announce that OnniBus.com and Koiviston Auto are joining forces, combining two iconic Finnish public transport businesses. Koiviston Auto CEO Antti Norrlin said: “Growing by acquisitions has always been a part of Koiviston Auto’s strategy. “By teaming up with OnniBus.com we will get a great deal of new knowledge in marketing, online sales and dynamic pricing. “These are exactly the things we need in order to offer even better service to our customers.